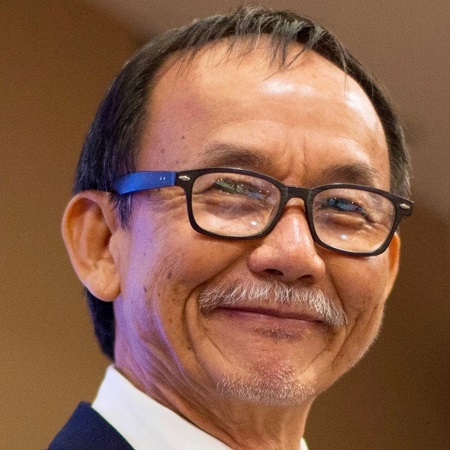 The Human Rights Commission of Malaysia (SUHAKAM) has resumed its inquiry into the mystery disappearance of church leader Raymond Koh, who was kidnapped in broad daylight by masked men on 13 February, 2017, and others. The inquiry was halted in January when part-time Uber driver Lam Chang Nam was suddenly charged with Koh’s kidnap. Malaysian law specifies that SUHAKAM’s power to hold an inquiry ceases when court proceedings begin against a suspect. He had previously been arrested, and cleared of the kidnap charge. However, SUHAKAM said their panel had “concluded unanimously that the subject matter in court (i.e. Lam’s charge) is not the same subject matter as the public inquiry”. It said it had taken into consideration arguments and submissions from the police and Koh’s family lawyers. The inquiry is into the disappearance of four people: Koh, another Christian couple, Joshua and Ruth Hilmy, and Muslim activist Amri Che Mat. The civil society coalition Citizens Against Enforced Disappearances (CAGED) accused law enforcement agencies of trying to shut down the inquiry because it embarrassed the police. As SUHAKAM announced it would resume its inquiry, a police whistleblower came forward alleging that the abduction of Koh, as well as of social activist Amri Che Mat, missing since 2016, involved Malaysia’s Special Branch, and was done with the full knowledge and approval of the then-Inspector General of Police Khalid Abu Bakar. The whistleblower, Sergeant Shamzaini Mohamed Daud, had first approached Amri Che Mat’s wife on 12 May with information. Koh’s lawyer Gurdial Singh told media “[Daud] has said that he wants to come clean and does not want to pay for the sins of others. “He told Amri’s wife that this was indeed a black operation by the Special Branch in which some very senior police officers were involved”. Singh has said he plans to call the officer as a witness in the resumed SUHAKAM inquiry, adding that if the allegations are true, it would mean some of those who have already given their testimony have committed perjury. She also named a top police officer in charge of Special Branch’s Social Extremism Division (E2) as the person who headed the operation. “When I asked the police officer why Amri was taken, he alleged it was because of ‘Shia’ and ‘forex’,” she said in a statement. The development has given new hope to Koh’s family. His wife, Susanna Liew, said she hoped “[Raymond] will be released soon”. SUHAKAM’s announcement came shortly after the 9 May election of Mahathir Mohamad as Malaysia’s seventh prime minister. He led Pakatan Harapan (Alliance of Hope) to unexpected election victory over the right-wing Barisan Nasional coalition, which had governed Malaysia since the country’s independence in 1957. A spokesperson for the international charity Open Doors, which supports Christians under pressure around the world, said “initial signs indicate [Mahathir’s] government may be more amenable to Christians, and that it aims to uproot some of the corruption issues that plagued the previous government”. “I hope now, with the new government, that [Koh’s] investigation documents will not be put under the Official Secrets Act anymore,” Liew added. Che Mat, the founder of non-profit organisation Perlis Hope, went missing on 24 November 2016. His vehicle was found abandoned. There has been media speculation that he was promoting the Shia ideology, a branch of Islam that the majority-Sunni Malaysian Muslims reject, but his wife has denied the alleged link to Shi’ism. Joshua Hilmy, a Muslim who converted to Christianity, and his wife Ruth, a Christian from Kalimantan in Borneo, went missing six days beforehand.